as this gorgeous 1966 Bass VI. More photographs will be added as time permits. I have had this bass for many decades and I am looking forward to displaying it. This is a personal favorite and one the prettiest Fender custom colored instruments that I own or have ever seen! The bass has been published and featured in both my "Fender Bass" book and "Fender The Golden Age" book too. The glorious example was featured on pg. 158 in "Fender, The Golden Age", a fantastic book! 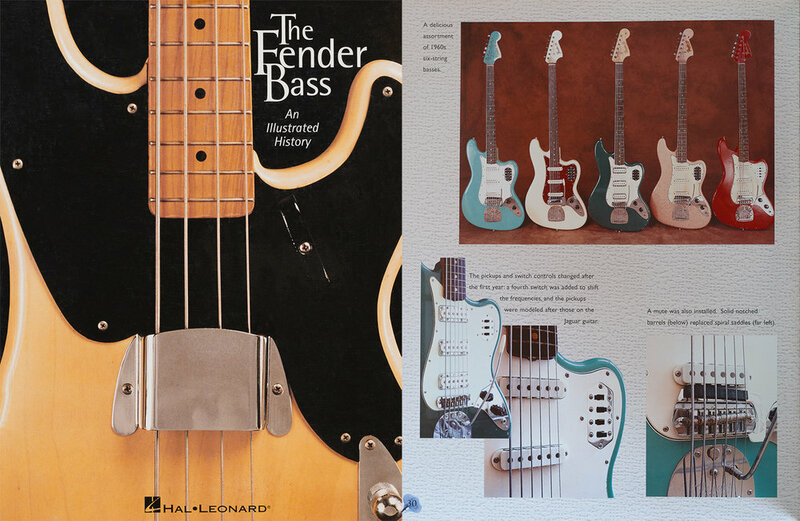 The Foam Green bass has also been published in my Fender Bass book on pg. 30, along with an equally rare SHERWOOD Green example which I also plan to display in the museum when time permits. 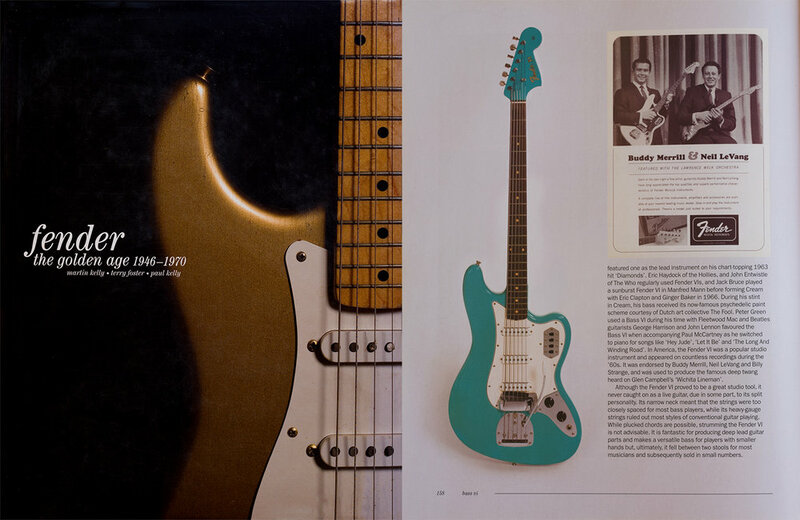 Foam Green bass vi models are VERY rare, I wonder if my bass is the same as in the Elvis CLAMBAKE movie from 1967?